Judy Benson and Janice Wood know a thing or two about building a successful bridal business for the long haul. Benson took ownership of her family business, The Bridal Shop in Fargo, N.D., in 1983, 34 years after its opening in post-war America. Throughout her 25 years at the helm, Benson grew the operation from an 1,100-square-foot storefront to one covering more than 10,000 square feet and servicing hundreds of customers each year. “We even had brides flying into Fargo to visit us,” says Benson, who sold the business in 2008. For more than three decades, Wood ran Madeleine's Daughter in Portsmouth, N.H., propelling that operation into a must-visit destination for New England brides before selling the store to an employee and becoming a bridal retail consultant. Where many others have failed or struggled, Benson and Wood found success in their respective corners of the world. Each created a sustainable, enduring bridal business that captured customers and financial health, a result much more difficult to achieve in reality than theory. 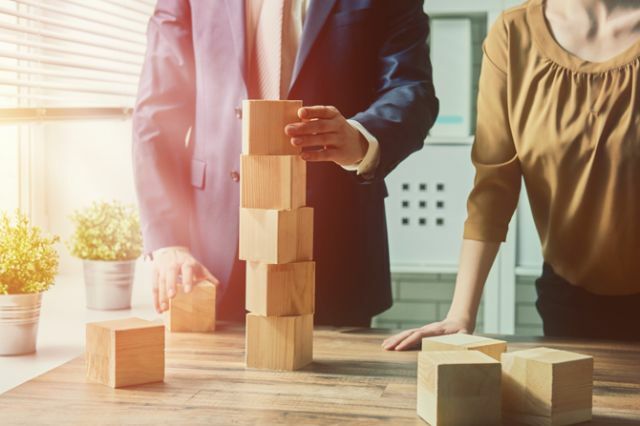 From having a well-trained and organized sales team committed to serving brides to back-office discipline on finance, ordering, vendor relations and more, both former owners built their business on a number of key foundational building blocks that spur long-term success. In the bridal industry, nothing is easy. Creating a healthy, sustainable business takes time, attention, perseverance and an endless reserve of devotion. There will be days, many veteran retailers say, when customers, manufacturers and staff will test your mettle; months when you might go without a paycheck; and years of battling to achieve financial stability. Earnest passion, these retail sages agree, is the most critical ingredient to long-term success because the day in-day out challenges of running a bridal shop will sometimes make throwing in the towel seem like a compelling option. Through passion, however, comes a determined effort to discover solutions and secure results. “You absolutely have to love the industry and your job to keep coming in every day,” says Cindy Schlagel, who has owned The Bridal Connection in Longmont, Colo., for the last 25 years. No business exists without paying customers – and it is steady and strong customer service that helps build the word-of-mouth buzz that brings customers through the door. To build a bridal business for the long haul, you must devote yourself to serving brides and other customers, which, at times, might not align with your own self-interests. Strong customer service begins with being attentive to a bride’s needs, seeking to understand her primary desires and then offering solutions to deliver that. It extends to knowing product, being up front and honest about options and spotlighting the finite details a bride should consider. And it always includes being a genuine, pleasant individual who wants to help, not hinder, a bride fulfill her vision. Selling a bridal gown is not like selling a chocolate bar. While some chocolate products can certainly trumpet compelling tales behind their creation or rich brand stories, a chocolate bar simply doesn’t have as many moving parts in comparison to a wedding dress. And yet more, there’s not nearly the same type of emotion devoted to consuming a Hershey’s bar as selecting a dress to wear down the aisle. Bridal stylists are tasked to know silhouettes, fabrics, designers, price, alteration opportunities and other pertinent product details – and brides place significant trust in sales associates to know and share such information. In addition to knowing product details, Benson would also have her staff physically try on new product themselves so that they would know the feel of a dress. “That firsthand experience is important,” Benson says. Make no mistake: bridal retail exists in the bricks-and-mortar world to help brides navigate a complex decision littered with misinformation, conflicting opinions and plenty of emotion. Your physical store offers a tangible, one-on-one experience that it must leverage to secure success. If bridal retail staff cannot provide brides the product answers they need, then brides can easily turn to online stores for their needs. And that’s an unfavorable development that hurts individual stores and the industry as a whole. An owner cannot possibly service every bride and answer every phone call, a reality that makes hiring the right people all the more critical. “You can get by with A staff and B product, but you can’t get by with B staff and A product,” one veteran retailer, who requested that her name be withheld, tells VOWS. Over the years, Schlagel has prioritized hiring staff members who display a genuine passion for the industry. She then builds up those individuals with training and perks that deepen their knowledge base and heighten their motivation to deliver strong customer service. It’s a nod to the “hire for personality and train for skill” mantra so common in customer-interfacing environments like specialty retail and restaurants across the U.S.
Benson, too, considers training central to store success and urges retailers to have a systemized way to onboard and manage staff. When Benson hired a new sales associate, for example, she instituted the buddy system, placing each new team member with a trusted sales associate. For three months, the new associate shadowed the veteran before being eventually turned loose to sell dresses. “This is not an industry where you can hire people and put them on the floor working with the consumer right away,” Benson says. The “buddy system” came at a financial expense, Benson acknowledges, but it fostered individual growth and helped her build a high-quality team that fueled store performance. Benson, in fact, rarely shied away from making strategic investments in personnel she felt were in the store’s best interest – as well as those that would help her achieve a reasonable and healthy work-life balance, another central ingredient to long-term success given how burnout can overtake retailers. Quickly noticing that she was too often shackled to her desk handing back office tasks, Benson hired an office manager, referring to the investment as one she could not afford to go without. For 25 years, that office manager became an important cog in The Bridal Shop’s operations. She placed orders, balanced the books and handled a litany of administrative duties, all of which freed Benson up to be on the floor. “I invested in staff and that helped me move the needle,” Benson says. This, of course, is not to suggest you can simply hire people and escape. New designs, styles and trends are constantly flooding the bridal market and retailers must monitor new developments. Staying ahead of the curve – or at least with it – helps keep you in the game with brides and a part of each bride’s competitive set. “You have to keep things fresh because brides are looking at all the latest,” Schlagel says. 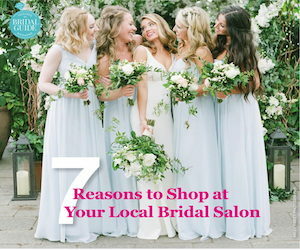 At The Bridal Connection, Schlagel has emphasized product relevancy. She works to strike a balance between a few popular designers that will attract traffic as well as knowing what styles most resonate with local brides. “It’s all about driving traffic into the store and you’ll struggle to do that if your products don’t resonate with customers,” Schlagel says. The bridal business is full of fun, exciting elements like working with giddy brides or heading to market to see the latest fashion trends. Few, however, relish back-office tasks related to the business’ financial health; yet, minding the numbers remains a necessary piece – and, some would argue, the most important piece – to creating a bridal retail business capable of surviving well into the future. Successful retailers focus on efficient operations, showing attention to the little things like utility costs and office supplies to big-ticket items like staffing and, in particular, inventory where savvy retailers buy strategically and intelligently and then manage that inventory to hit financial goals. “There’s discipline involved here and you need to be able to manage your money,” Wood says. To build a long-term business, Benson says retailers must know their financial metrics and targets, including critical details like fixed expenses, inventory turn rate and profitability. Without a clear understanding of the financials, Benson contends, the business will struggle and owners will have a tough time getting out of the business what they are putting into it. It’s also important operators take the long view and not make short-sighted decisions that might deliver benefit today, but pain down the line. Stores that can self-fund, after all, sit in the best position to grow, reach their potential and deliver long-term value for ownership. Often retailers go to market to buy product and while they might mingle with other retailers, swapping best practices and tips in a coordinated way is not a top priority. That, Benson and Wood agree, is a missed opportunity. Both former retailers, in fact, credit their formal involvement with industry groups comprised of fellow retailers with advancing their respective businesses and spurring their longevity. 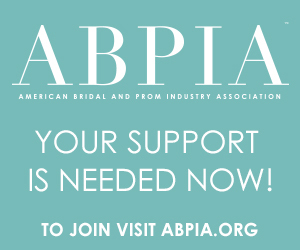 Benson, for instance, became an active member of the Midwest Bridal Buyers Association as well as the Bridal Manufacturers Association of America (BMAA). Through active and regular participation with both groups, Benson injected her store with practical information and knowledge on pricing, merchandising, sales strategies and more. Benson then joined with seven other bridal retailers – all of them non-competing stores from distinct markets across the U.S. – to form an intimate retailer group committed to independent bridal retail. The group gathered in person each year for a formal meeting. There, the owners shared financial data, ideas for promoting sales, operational tips and more. “All of us were good at something and when we brought our skills together all of us benefited,” says Benson. Years ago, the bridal magazine was the bride’s bible. Then, the Internet came along, revolutionizing everything from sales to marketing; in fact, social media and other customer-focused marketing have morphed from a one-time curiosity to a modern-day necessity. Big box stores, meanwhile, have exited and, more recently, reentered the bridal business. Change, Wood says, is the only certainty in the bridal business, one constantly evolving with new styles, shifting trends and rising competition. To build a long-term business, Wood says retailers must become comfortable with change, flexible and adaptable enough to accept it, roll with it and, ultimately, find a way to use it to drive business.